Marijuana Mythbusters » Can you donate blood if you smoke or have smoked marijuana? For those of you who did not come here to read a lengthy discussion of this topic, the answer is yes. It is perfectly fine for someone who has smoked or even regularly smokes marijuana to donate blood. The Red Cross is very explicit on this topic and states that “marijuana or alcohol use does not necessarily disqualify you from giving blood as long as you are feeling well.” It is important to note that a blood donation center is unlikely to accept your donation if they believe that you have recently consumed either alcohol or marijuana. Also, while marijuana and alcohol will not disqualify you from giving blood, intravenous drug use at any point in your lifetime will disqualify you as will various other medical conditions and other assorted criteria. A helpful guide on donating blood which was put together by the Red Cross can be found here. Now, the reason this is acceptable and does not harm the recipient of a blood transfusion is because your body metabolizes THC into two different chemicals. The first of which is 11-OH-THC which is also psychoactive like THC. Some scientists and doctors believe that the reason the munchies are delayed is because 11-OH-THC causes the munchies and your body must take time to metabolize THC before 11-OH-THC is present in your blood stream. This process happens relatively quickly as your liver filters blood continuously. Enzymes in the liver continue metabolizing these chemicals and turn the 11-OH-THC into 11-nor-9-Carboxy-THC which is non-psychoactive. This takes several hours and by the time that there is no THC nor 11-OH-THC in your system you are no longer high. So, when the Red Cross says that your donation is unlikely to be accepted if the blood donation center staff believe you have recently consumed marijuana, they are in effect making sure that your body has broken down any psychoactive chemicals that your blood may otherwise contain. This makes it acceptable to donate blood even if you are a regular marijuana smoker as no recipient of your blood would be taking any psychoactive chemicals into your body which may otherwise cause them to feel high. Ethically, some people say that marijuana smokers should not donate blood as there THC laden and generally dirty,trashed, second-rate excuse for blood is unsuitable for an infant, toddler, child recipient. However, as we have just discussed by that point in time your blood contains no psychoactive chemicals, and it might be argued at that point in time that it is actually more harmful for people with high cholesterol to donate blood. In our opinion, it actually defies our moral and ethical beliefs to not donate blood as often as you can. How often you can donate will differ by blood center and by the type of donation you are giving, so check with you local blood center, but its safe to say you are eligible 6 times per year. The Red Cross states that you can save up to 3 lives by donating blood just once. So, get out there do it. Hope this cleared up a few things for everyone. 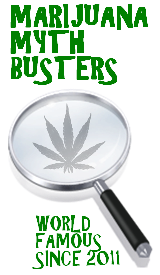 This entry was posted by Mythbuster on October 18, 2012 at 8:47 pm, and is filed under Marijuana Myths. Follow any responses to this post through RSS 2.0.You can leave a response or trackback from your own site. OF NOTE HOWEVER short term effects of smoking can be raised heart rate. If it’s too raised, they won’t let you give (Red Cross checks for a ton of “normal” parameters and will turn you down for being outside of any on the date your trying to give). Additionally, if you are already sort of faint over giving blood or may be a smaller person, the raised heart rate will not help make things smoother. Avoid smoking directly before donation. So what your saying is they can find it in my system? What I smoked last weekend would it still be found? Thanks for this article! I’m having doubts because i’m a frequent stoner and i’m afraid that my blood could get the recipient high. I’m type AB and there are not a lot of stock AB’s. Thanks again! You’re very welcome. Keep on keepin’ on… and donatin’. This all depends upon how sntrog you want to make it. Generally, the range is between an 1/8 and a 1/4 of green per stick of butter. With kief you would probably be good with between 1 1/2 and 3 grams per stick, which will make you some dank butter.